9point8 Fall Line The Fall Line is the lightest post we looked at by a notable margin. The company offers a “second bike” kit for $47, so you can spread the love across your stable. BikeYoke Revive Every post can suffer from air sneaking into places it is not supposed to go, causing it to perform poorly. 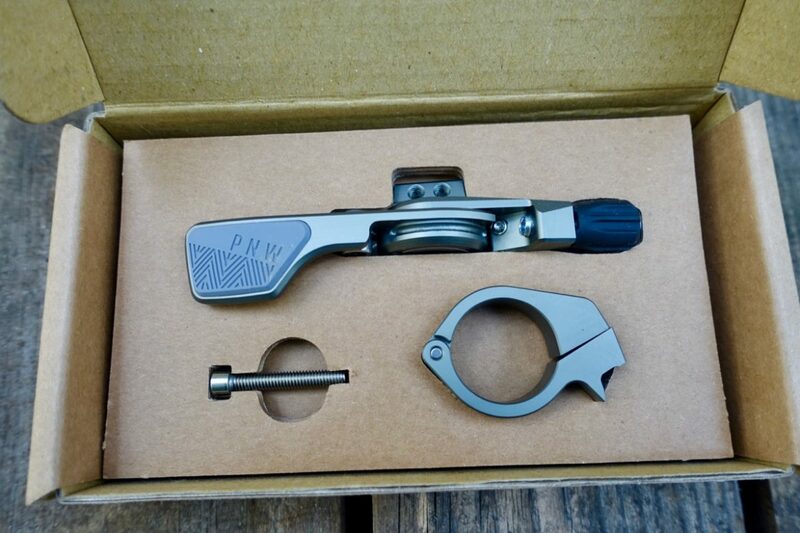 Bike Yoke has created a release valve to reset the system without having to take anything apart. All you do is loosen a 4mm bolt at the head, run the drop through its travel once, then tighten the bolt. Voila, the system is reset. BMC Trailsync The Trailsync allows riders to lower the post and open the rear suspension with one lever, simplifying the cockpit and pre-descent checklist. Brand-X Ascend One of the most affordable posts in the mix, the Brand-X Ascend is said to be quite reliable and isn’t even the heaviest post on the list. Crankbrothers Highline The Highline claims to have “the world’s most ergonomic remote,” and comes with a solid 3-year warranty. 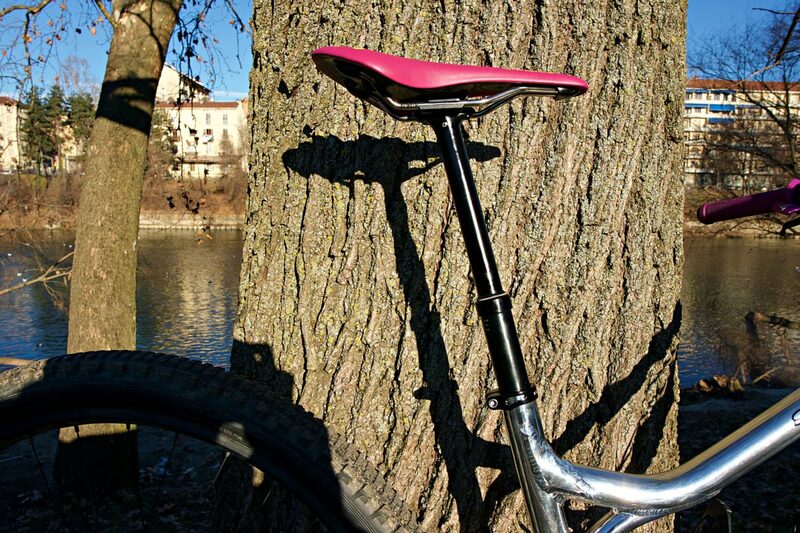 DVO Garnet DVO claims that the Garnet dropper post is intentionally simple and reliable, with no wheels reinvented. 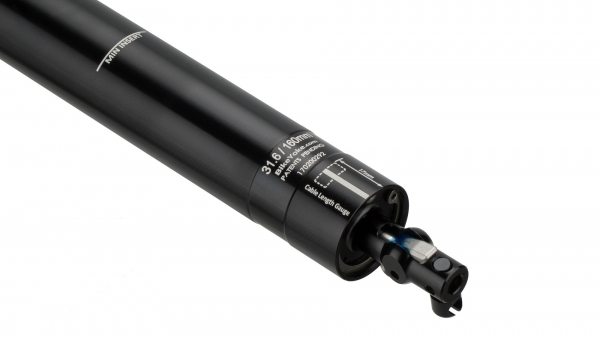 Return speed is adjustable by adding or releasing air pressure at the head of the post. 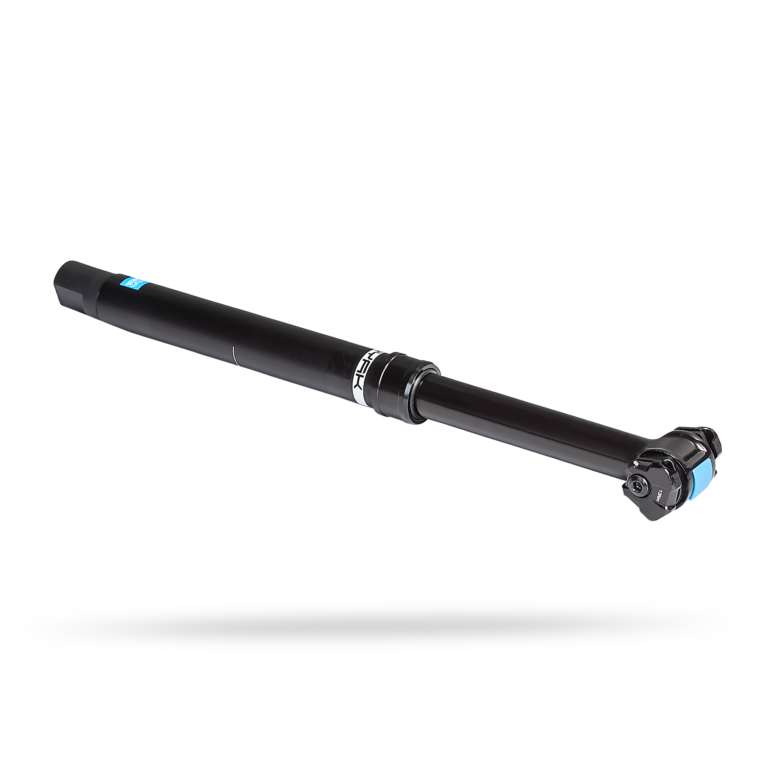 e*thirteen TRS+ Like the PNW Rainier post, the TRS+ uses a coil system in place of compressed air. This means “less maintenance than air sprung posts with a smooth, consistent return speed every time, for the life of the post,” according to e*thirteen. Eightpins Standard on Liteville frames and hopefully soon others, the Eightpins post is fully integrated into the frame. The designers used the frame’s seat tube in place of the outer/lower post, cutting weight and allowing the post to drop all of the way to the frame. Funn UpDown Internal Like the BikeYoke design, the UpDown cartridge can be easily reset to keep it working like new, and the post is fully user-serviceable. Giant Contact SL Switch The Switch has extra long rail cradles, designed to grip the delicate rails of light saddles adequately. Giant says the post can be easily switched between external and internal routing as needed. Magura Vyron Well, it’s electric. It’s wireless. You could swap it from one bike to the next in a matter of minutes. Magura may not have all of the kinks worked out with the Vyron, but it is the way of the future for front-country mountain biking. Manitou Jack Unfortunately we don’t have a lot of info on the Manitou Jack. This video offers a smattering of info about what is included with the post. 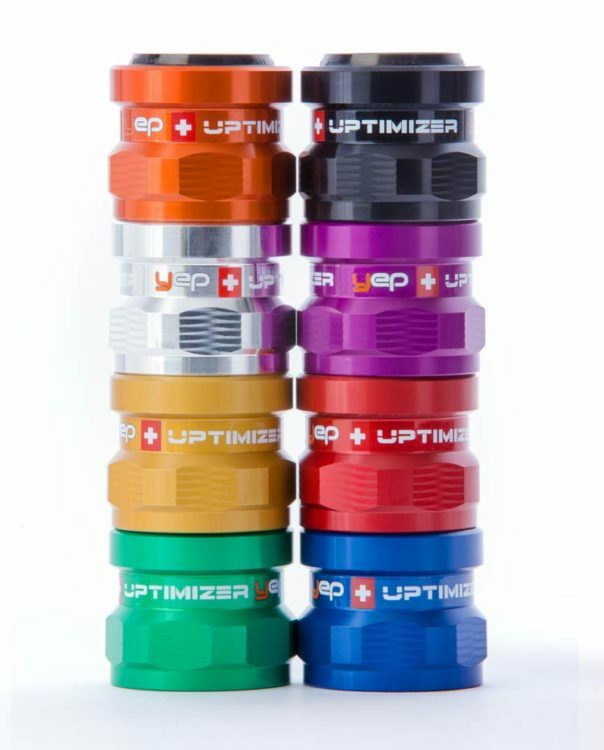 OneUp posts’ travel can be adjusted to the precise max height you desire, within a 50mm range. So, you can set up a 150mm post to top out anywhere between 100 and 150mm. 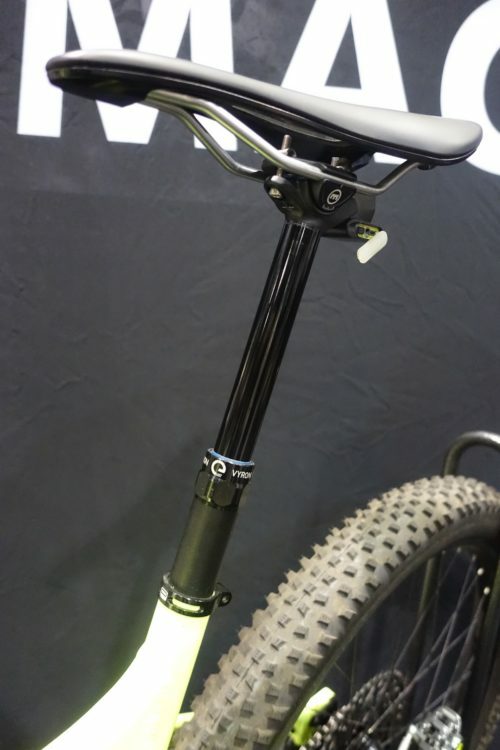 This 170mm travel post is tuned to top out at 163mm, providing the proper saddle height and maximum travel for the rider. 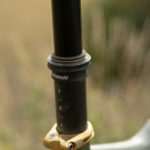 OneUp Dropper The folks at One Up have designed a lightweight, solid post with 50mm of adjustable travel. If you buy a post with 170mm of travel, but your frame will only let you use 168mm or 152mm of that travel, that’s okay. The adjustment process doesn’t require any tools and can be completed in about two minutes. 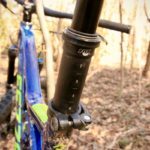 Rockshox Reverb Stealth This gold-standard dropper was recently redesigned, and Rockshox has had plenty of time to work out the kinks. 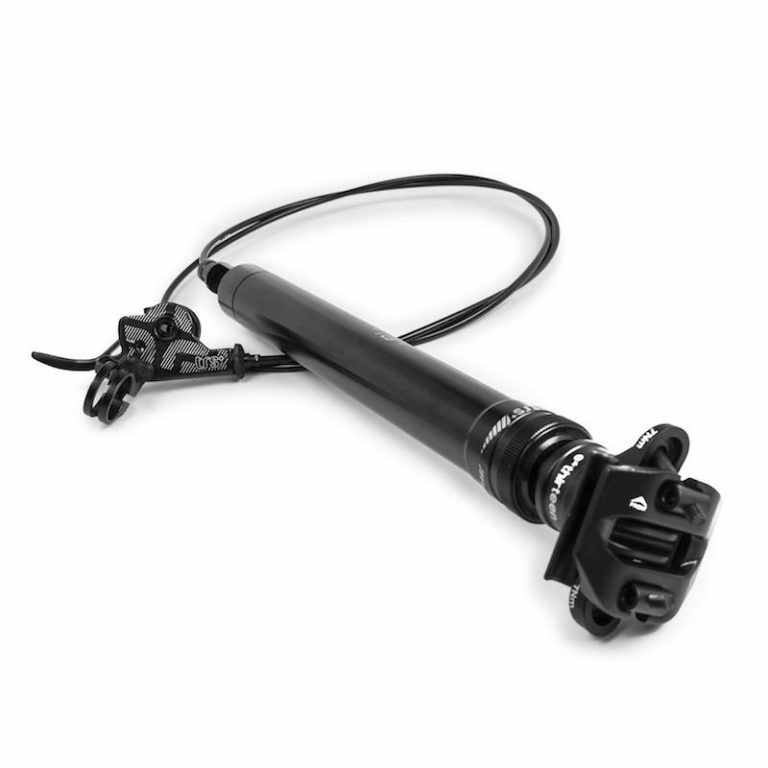 The Reverb now drops up to 170mm and can be ordered with a shifter-style remote. 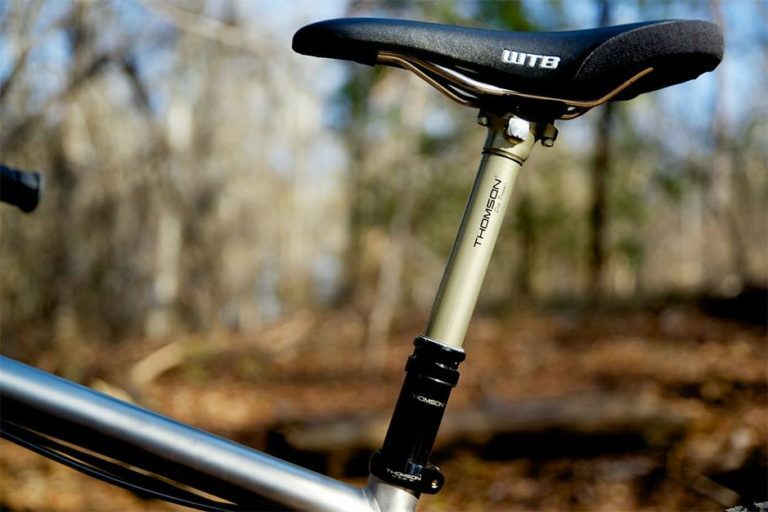 SDG Tellis One of the latest companies to play on the dropper field, SDG spent the past two seasons perfecting the Tellis with professional riders and testers. They claim to have the softest lever action in the business, and one of the most durable cartridge systems available. 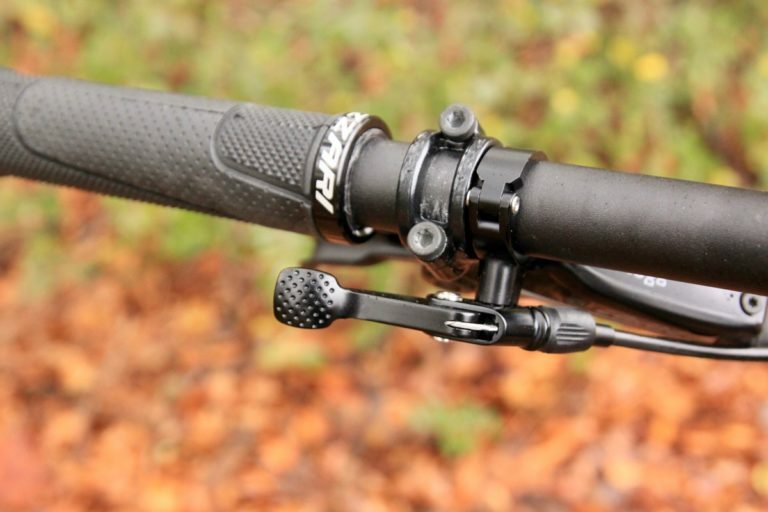 Shimano Pro Koryak Alongside KS Suspension, Shimano offers the widest range of dropper sizes on the market. 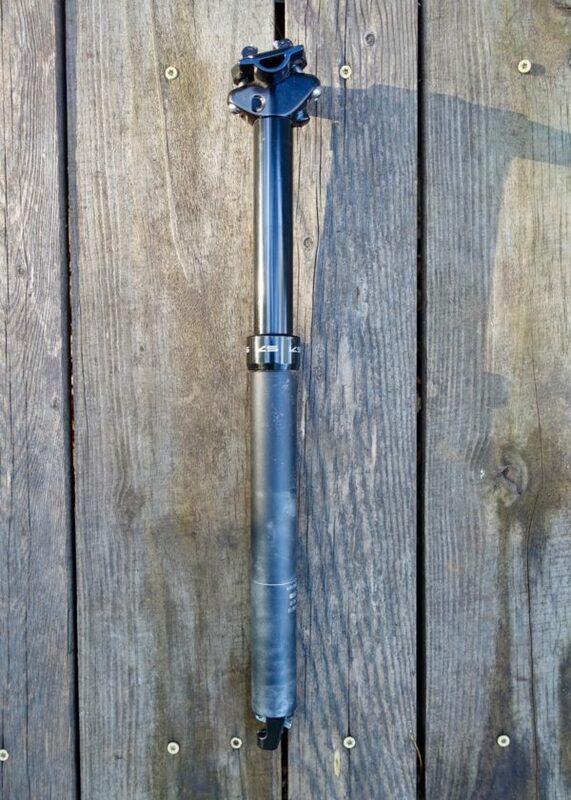 They are one of the few making a 27.2mm diameter post for XC bikes, and their post travel ranges from 70-170mm. Thomson Covert Thomson claims that the Covert has the longest service interval in the industry. Need we say more? TranzX JD The TranzX is the second-least expensive post on the list, and is reportedly a durable option that users can service in the comfort of their own homes. Vecnum Moveloc2 The Movloc2 offers up to 200mm of travel, it’s light, and unfortunately, it only comes with external cable routing. Yep Components Uptimizer HC This Swiss-made post is by far the most customizable of them all. After choosing the size you want, you can select the color of two different parts of the remote, and the color of the collar. Travel options for the Yep Uptimizer range from 80-155mm, and the 125mm post is available in a “tall” version for riders who need more post in their frame. The joystick-style lever can be pushed or pulled in nearly any direction to get the post to respond and can be mounted above or below either side of the bar. Wow, what a load of droppers. Did we miss any? Is there one that you have had trouble with? Tell us about it in the comments below. Complete results and post-race information from the 2019 Anaheim Supercross Futures, the second round of the 2019 Supercross Futures series. It's time to see who made the grade (or not) at round three.